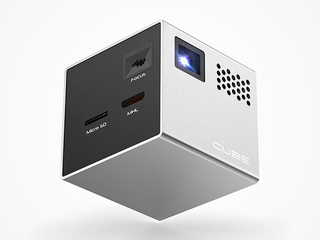 The Cube by RIF6 is the first projector designed specifically around our mobile lives. It easily hooks up to your smartphone or laptop so you can project movies, YouTube clips, or any other media to a clear 120" display. Best of all, it’s tiny, lightweight, and easy to take anywhere. Normally $300, Jalopnik readers can get one today for just $249 with free shipping - the lowest price on the web.